POI was started in October 2005 by David and Ruth Hamilton. David said it all started on a mission trip to Brazil in 1990 with his home church. “Ruth and I came home from that trip and just went, ‘OK, there’s gotta be more to life than this,’” he said. In 1999, the Hamiltons traveled to Honduras for the first time. Through that trip, they met Armando Meza, who self-funded a ministry to reach out to gangs through soccer leagues. 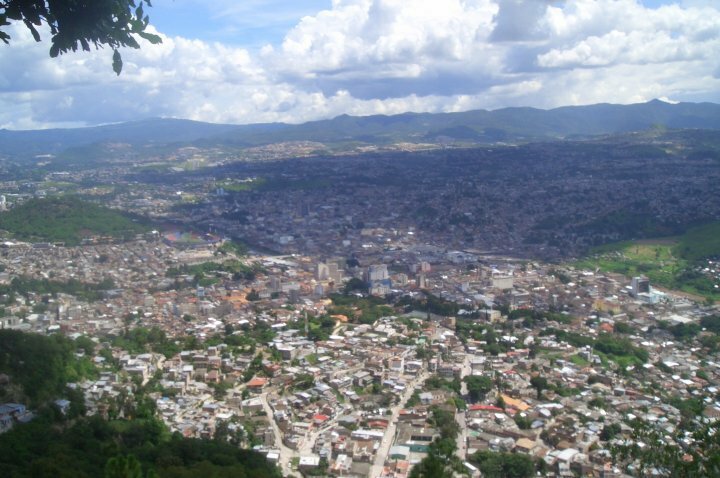 In 2004 the Hamiltons bought an apartment in Tegucigalpa so they could visit whenever they wanted. Two years later, Pastor Armando took a government-appointed job with a prison ministry and the Hamiltons started their own ministry called Christian Youth Movement, under Armando’s model of rehabilitating gang members. They soon changed the model from intervention to prevention and called it Point of Impact. Their plan was to make everything an outreach of the church so they launched the first church in a gang-infested, violent neighborhood in 2006. The pastor held services on Wednesday and Saturday nights and an after-school tutoring program was offered to the children every day. The following year, another church was established using the same model. A third one opened in 2008, followed by the orphanage in 2009, and a fourth church location in 2010. Today, there are over 400 children are being fed, tutored, and taught about Lord every day. In the past year alone 33 adults and 141 children accepted Christ! There are now 2 orphanages with a total of 14 kids being loved and cared for. We are amazed as we look at all the Lord has done in the past few years and we can’t wait to see what He has in store for the future!